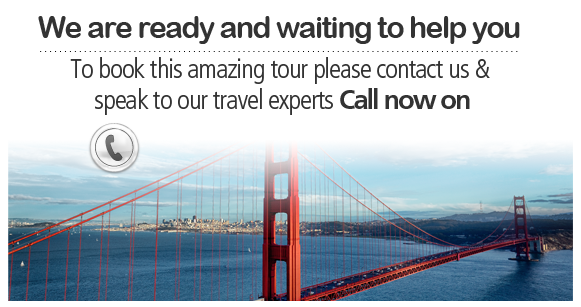 Spend 7 days visiting some of the most awe-inspiring national parks in all of south western USA. Visit the hoodoo spires of Bryce and the narrow ridgelines of Bryce, marvel at the natural architecture of Arches and legendary stories of Canyonlands, and finally, cross Monument Valley and witness the sheer glory of the Grand Canyon on a truly unforgettable journey. Ride aboard a 4x4 jeep as you cross the renowned Monument Valley. Discover the looming sandstone spires known as hoodoos in Bryce National Park. 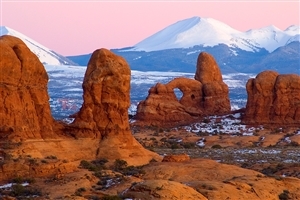 Witness the numerous natural arches that make up the Arches National Park. Visit the area Butch Cassidy and the Sundance Kid escaped the law at Canyonlands National Park. Marvel at the wondrous setting of the Grand Canyon, one of the Seven Natural Wonders of the World. Depart the hustle and bustle of Las Vegas to begin your tour with Utah’s own Zion National Park. Red sandstone cliffs and lofty canyon walls loom in the sky over the gorgeous landscape where you can enjoy a half day hike across a narrow ridgeline to Angels Landing before exploring the Emerald Pools or enjoying a river hike deep in the narrows. The day is complete with a tasty BBQ treat at evening camp. 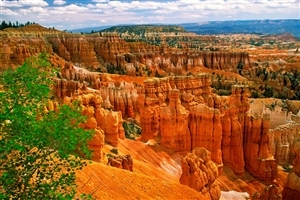 Today you will take a short drive to see the wondrous setting of Bryce National Park. At an elevation of 8000ft, the area is a natural wonderland where you’ll have the chance to discover the rim and unique sandstone spires known as hoodoos that make up this natural amphitheatre. Get up close to the fascinating monuments before heading back to camp to soak in the outdoor hot tub and ending the day with a campfire. 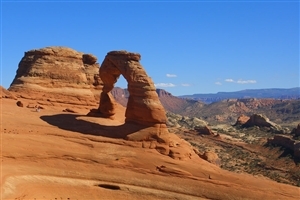 Visit the fantastic Arches National Park, discovering the landscape on a sunset hummer tour or hang from a sandstone cliff on a thrilling, optional canyon adventure. Arches National Park is home to 2000 arches where you can hike up to Delicate Arch, one of the more renowned arches before setting off for Canyonlands National Park, an area where the Green and Colorado Rivers converge in a magnificent spectacle of natural splendour. Hear tales of how Butch Cassidy and the Sundance Kid used the canyons to evade the law during the late 1800’s and visit the local town for a hands on experience of Utah living. 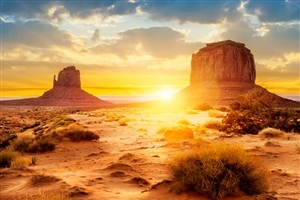 Journey south through the south western United States most gorgeous settings to Monument Valley, an iconic area known for being used as the background for many popular western movies and home to the Navajo Indians. Ride aboard a 4x4 jeep for a guided Navajo tour of the valley before camping along the rim where you can gaze up at the starry night sky and witness a magnificent sunrise from an ideal vantage point. Spend the morning visiting a Navajo trading post before continuing on along the Colardo River, through the Painted Desert and on to one of the Seven Natural Wonders of the World, the majestic Grand Canyon. Catch a bird’s-eye view of this deep marvel aboard an optional helicopter tour, stroll along the rim at sunset, hike into one of the deepest canyons on Earth or simply relax in one of the cafes along the rim. The evening consists of one final cookout and campfire for you to enjoy. Drive back along legendary Route 66 and head back to the glitz and glamour of neon Las Vegas.